With a critical, Marxist eye, one could analyse the way the news media deals with death and suffering as the ultimate commodification; capitalistic transformation of something that would surely not be considered merchandise, into a product which can be sold at a profit. A public service is done by the reporting of dangerous criminals involved in shootings and justice can be aided by media campaigns, though the media frenzy which typically surrounds death would definitely not go without citation in debates on the subject. Let us look at the example of Christopher Dorner, a decorated former LAPD police officer who became mentally unstable following what he apparently perceived as unfair dismissal from the institution and proceeded to embark on a shooting spree, leaving four dead. The coverage on American television was nothing short of cinematic. 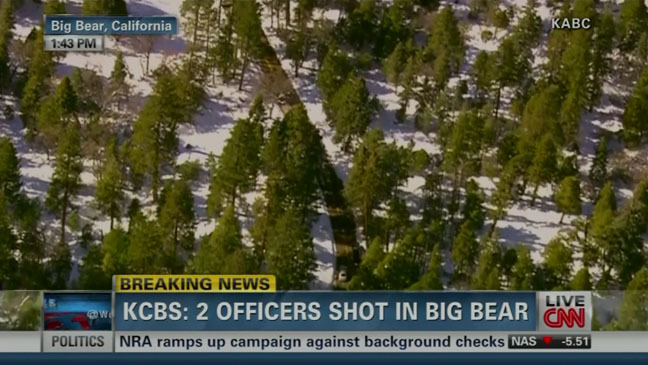 The tragic situation, in which Dorner targeted police officers and their families, was transformed into a Hollywood blockbuster by Fox News and other US media. ABC’s coverage literally played like a thriller trailer. Their package spliced brash police statements with a dramatic voiceover and shots of SWAT teams and helicopters. “Of course he knows what he’s doing, we trained him,” warns the police chief. “A manhunt for one of their own,” announces the voiceover. “He was also a member of the armed forces,” says the police chief. “Trained to kill!” expands the voiceover. “He is armed and extremely dangerous,” the chief continues. Fears were heightened by constant reminders of the danger he poses through his physical stature, extensive arsenal of weapons and constant speculation about where the killer may or may not have been. The American public’s reaction to the events showed little sincerity when some Twitter users began taking to the social networking site to laud their hopes that Dorner escape while others hoped for a more morbid outcome. The tragic events were pounced upon by news media as an opportunity to create flashy graphics and speculate on the whereabouts of the “crazed gunman”, rather than analyse the events properly. Dorner’s manifesto, a collection of Facebook posts and other materials collected from the time leading up to his death, raise reasonable and valid questions of police brutality and racism within the LAPD. Media could have used this as an opportunity for constructive debate on the subject. Mainstream analysis, however, predominantly surrounded celebrities which he purportedly liked or supported, including Bill Cosby and Anderson Cooper. Fox News even took the time to highlight one clause where Dorner had written: “Off the record, I love your new bangs Mrs Obama,” a reference to the First Lady’s new hairstyle. The public’s right to know should be taken into account, Dorner was a dangerous man who was “on the loose” but at what point does coverage move from service to sensationalism. The age old tenet of journalism that bad news sells newspapers is of course still true, and market pressures, to varying degrees, determine the way news is reported. However, it is not this that necessarily transforms crisis into commodity. It is the sexing up and sensationalism of every element of these morbid situations which is damaging.